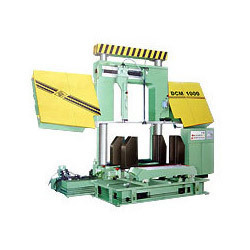 We offer various models of Band Saw Machines - both swing type & double column (semi-automatic & fully automatic) with capacity ranging from 160 mm to 330 mmØ. All these are hydraulically operated machines. Semi-automatic models are with manual bar feeding & fully automatic machines are with auto bar feeding. Rest all other features are same for specific models. 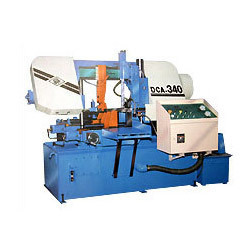 These machines are of high performance but low cost machines - ideally suited to small scale as well as large scale industries and for cutting variety of ferrous & non-ferrous materials. 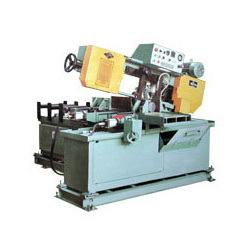 The Heavy Duty High Speed Double Column Band Saw Machine is a semi-automatic hydraulic machine, where bar feeding would be manual. It has power driven band brush for chip removal. 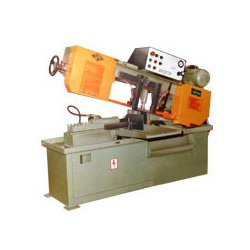 Looking for Band Saw Machine ?